A planned visit to Pyongyang this week by a South Korean civic group has been canceled, the organization confirmed to NK News on Monday, citing last week’s postponement by the North of high-level inter-Korean talks. Speaking to NK News, a representative of the South Korean Committee for the Joint Implementation of the June 15 Summit Declaration confirmed that a trip intended to discuss inter-Korean cultural events with their North Korean and overseas counterparts would not go ahead. The North Korean side earlier in the month accepted the South Korean committee’s proposal and suggested holding the meeting between Wednesday and Friday in Pyongyang. But Monday saw the committee’s Southern representatives say their DPRK counterparts were yet to send the formal invitation required before the ROK’s Ministry of Unification (MOU) can allow a visit to the North. “Our understanding is that the meeting will be postponed due to the [canceled] high-level meeting,” standing representative chair to the committee Lee Chang-bok told NK News, adding that he and his colleagues had sent the North Koreans a list of proposed participants in the meeting. Lee said the committee believed that the lack of invitation was linked to the North’s unilateral cancelation of the inter-Korean high-level talks last Wednesday: a decision North Korean officials said was a response to, among other things, the ongoing joint ROK-U.S. annual and bilateral training exercise Max Thunder. Chairman Lee also said there had been no communication with the northern committee since he and his colleagues sent them the list of participants. “The communication is not easy, and therefore we’ve been waiting for the invitation based on the judgment that the meeting is delayed,” he said. 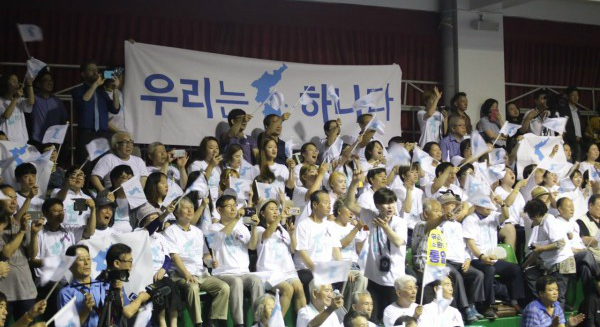 The meeting was set to see the civil groups discuss a planned joint cultural event to mark the anniversary of the June 15 joint declaration, as well as plans to further implement measures laid out in last month’s Panmunjom Declaration. Lee on Monday expressed his hope that the two Koreas would be able to push ahead with the event. “I think the decision will be made before June 15 as we still have the time,” he said. Lee also said that the organ hadn’t taken part in a task force meeting hosted by the unification ministry in mid-May aimed at planning inter-Korean events on June 15 in protest at what it believed were the “insufficient” and “inappropriate” number of organizations invited to take part. April’s Panmunjom Declaration saw the two Koreas agree to “actively” stage various joint events “in which participants from all levels, including central and local governments, parliaments, political parties, and civil organizations” would be involved. The cancellation of the trip to Pyongyang comes amid newly-strained inter-Korean relations following months of rapprochement. 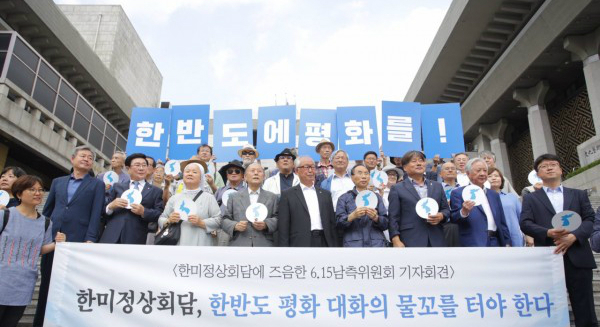 Seoul last week urged the North to “immediately” return to dialogue, with a unification ministry spokesperson warning the last-minute withdrawal was out of step with the spirit of Panmunjom Declaration. In response, DPRK state media outlets carried a statement by Chairman of the Committee for the Peaceful Reunification of the Country (CPRC) Ri Son Gwon denouncing Seoul and stating that no further inter-Korean meetings would take place until pending issues were resolved. Meanwhile, the unification ministry on Monday said the North was yet to accept a proposed list of eight South Korean reporters set to visit North Korea to cover the dismantlement of the Punggye-ri nuclear test site – due to take place between Wednesday and Friday. Seoul attempted to send the list twice on Friday and Monday morning through the Panmunjom communications channel, the unification ministry said. Subscribe to read the remaining 616 words of this article.